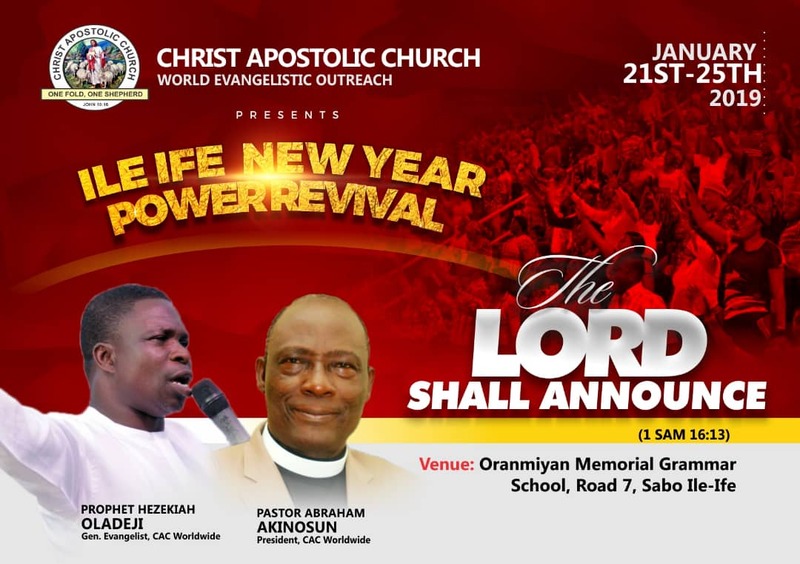 Christ Apostolic Church World evangelical team is set to hold a 5day open air crusade tagged "Ilé-Ifè New Year Power Revival" next week. 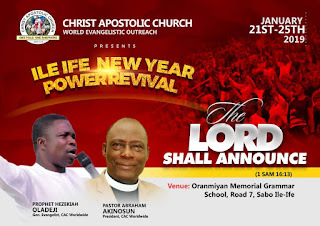 The programme will hold from Monday January 21th to January 25th, 2019 by 5pm daily. 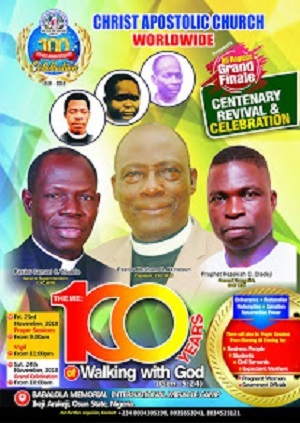 CAC NEWS learnt that the theme of the programme is "The Lord shall Announce" and it will hold at Oromiyan Memorial Grammar School, Road 5, Road 7, Sabo Ilé-Ifè. 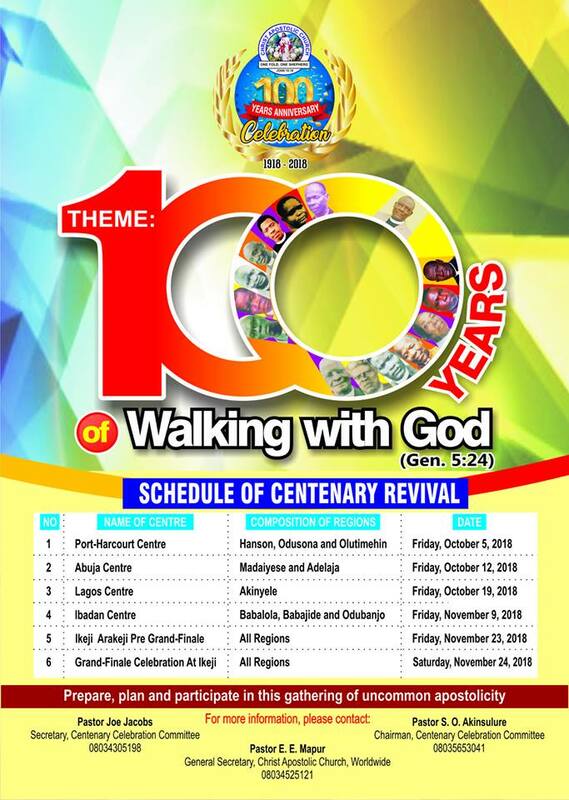 The General Evangelist of CAC Worldwide, Prophet Hezekiah O. Oladeji and other anointed ministers of God will minister through the inspiration the Holy Spirit.